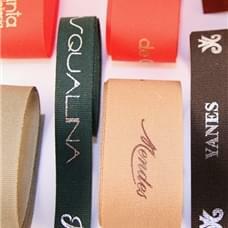 All our personalized ribbons are handmade and cared in the finest details. This careful process creates a top quality product and gives your articles a touch of authentic originality. 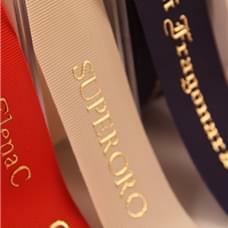 Satin personalized ribbons , cotton or gros grain personalized ribbons. 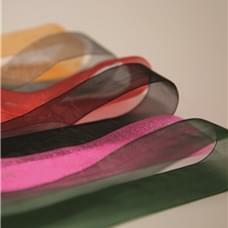 They all are customizable, available in a wide range with different colours and lenght. 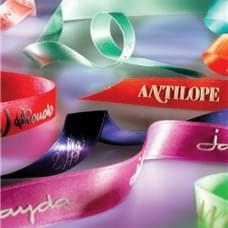 The personalized ribbons for luxury packaging can be hot stamped or relief printed, and can be personalized with the logo of your jewelry store or brand. It is possibile to create a brand image using the personalized ribbons matched with pouches, boxes for jewels or shopping bags. Avaible in a wide range of colors and heights. Hot printing avaible in different colors.